If you’re a fan of seafood, you’ll love this next creative recipe from ProTreats’ Chef Geo: the Scallops and Lobster Spanish Galleon Tortelloni in a Butternut Squash Bowl. Get ready for a rich and savory dinner, packed with various flavors from earthy and nutty to sweet and lemony. Enjoy! 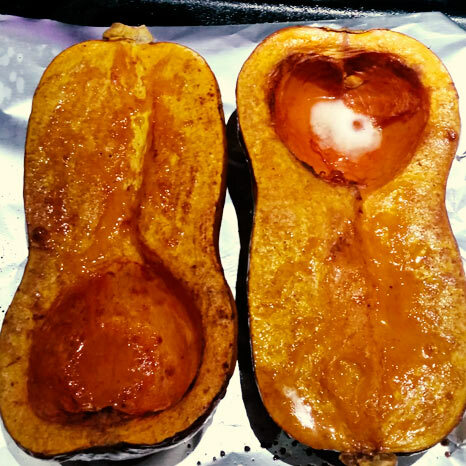 Preheat your oven to 350 degrees F while you slice the butternut squash in half. Next, slice a thin piece from the outside, so that your butternut squash forms a flatter surface, a base of some sort. This way it won’t rock on your plate. Then brush it with coconut oil and sprinkle it with Himalayan pink salt and fresh ground pepper. Cook the butternut squash for about 1.5 hours, until golden brown. Remove 80% of the filling, leaving a wall around the squash to keep it sturdy enough to grab. Then set aside. In a high speed blender, combine the butternut squash filling, lemongrass paste, garlic paste, ricotta cheese, a pinch of Himalayan pink salt and almond milk until it all forms a sauce. Let simmer on low heat in a small saucepan for about 10 minutes. Boil the tortelloni for about 7 minutes (or 5 minutes for al dente), in 3 quarts of boiling water. Then remove, drain and add to the sauce. Throw in the chopped parsley. Next, cut the lobster in half, right down the middle. 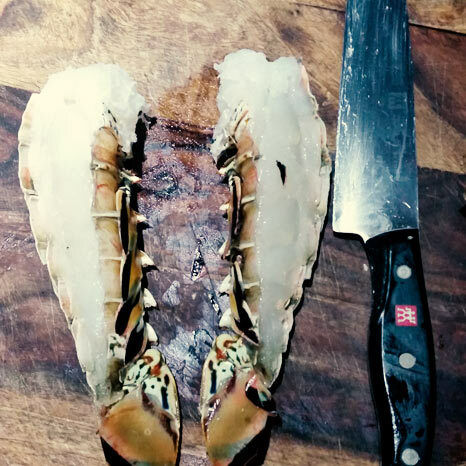 Brush the scallops and lobster with coconut oil and season with salt and pepper. Slice the turnip, as it will be used as the serving tray for the scallops. Preheat a large saucepan on high heat so you can sear the scallops. Add oil and add the scallops, turnips and lobster, facing down. Scallops should cook 2-3 minutes (on each side), the lobster should take about 5 minutes per side, while the turnips will brown pretty fast. Place the tortelloni inside the hollowed out butternut squash, followed by 3 turnip slices topped with 3 scallops. 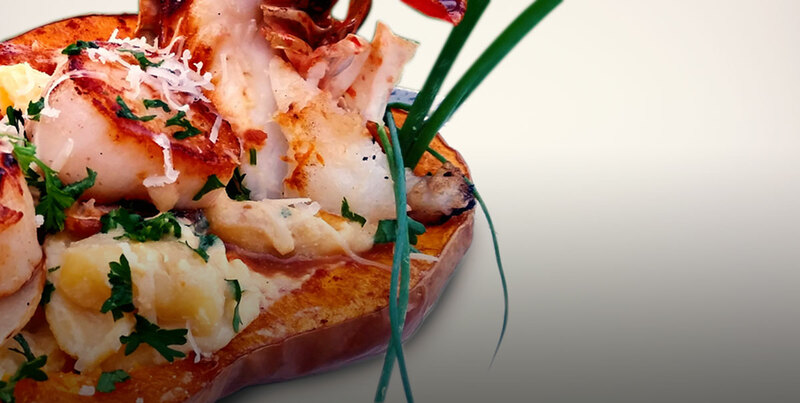 At one end of the butternut squash, place the lobster facing up and top with parsley and grated Parmesan cheese.